It is considered one of the holiest lakes in Balinese mythology. 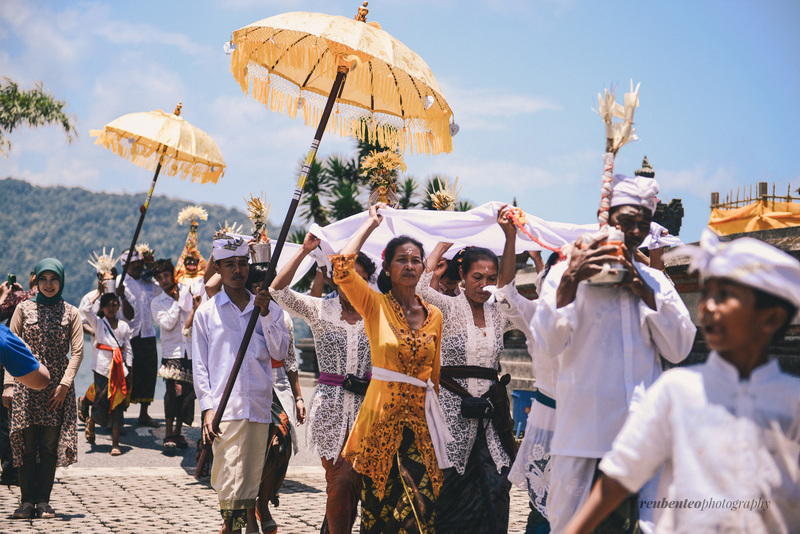 As we all know, the Balinese people rely heavily on their rice harvests and are therefore very honourable to the Goddess of water and feritlity. Dewi Danu, who is the Goddess of water & rivers is favoured and worshipped here in Bratan Lake. 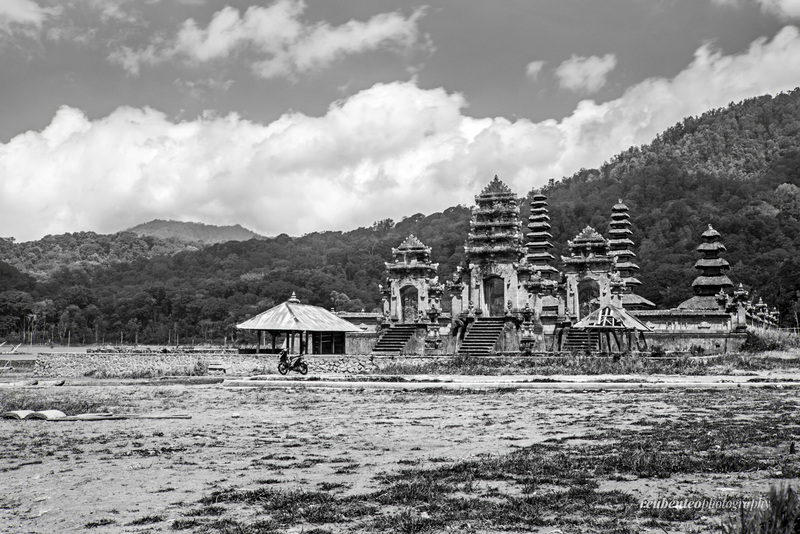 In 1663, The Pura Ulun Danu Bratan or Lake Bratan Temple was built by the Mengwi King on the west bank of the lake. 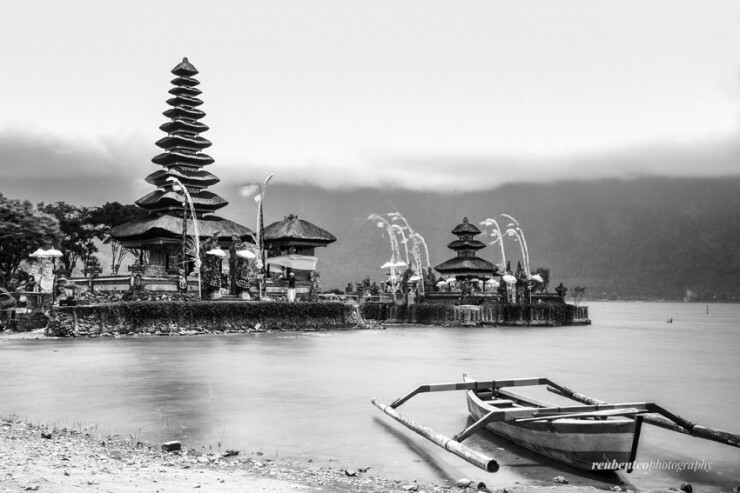 The words “Ulun Danu” simply means “Head of the Lake”, therefore the temple is like the protector of the lake. This temple is one of the most popular tourist attractions in Bali and is usually crowded by tour buses. 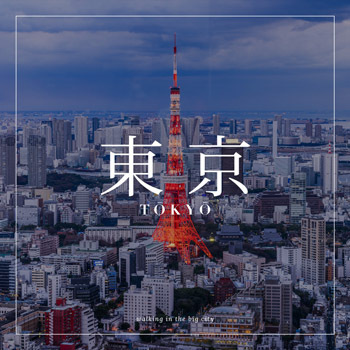 Despite the massive crowd, it is still a MUST SEE attraction when you are around the area. Not only is it one of the most photographed templed in Bali after Tanah Lot, it is also featured on the back of the 50,000 rupiah note. According to Wikipedia, Lake Bratan is known as the Lake of Holy Mountain due to the fertility of this area. 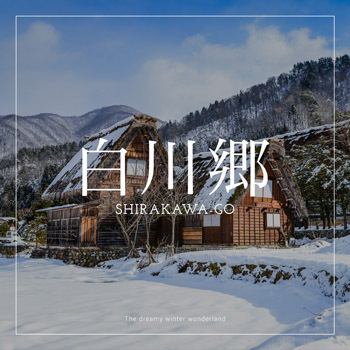 Located 1200m above sea level, it has a cold tropical climate. What’s most fascinating about this temple is that one part of the temple structure extends into the lake, causing it to look as if it’s floating on the lake. 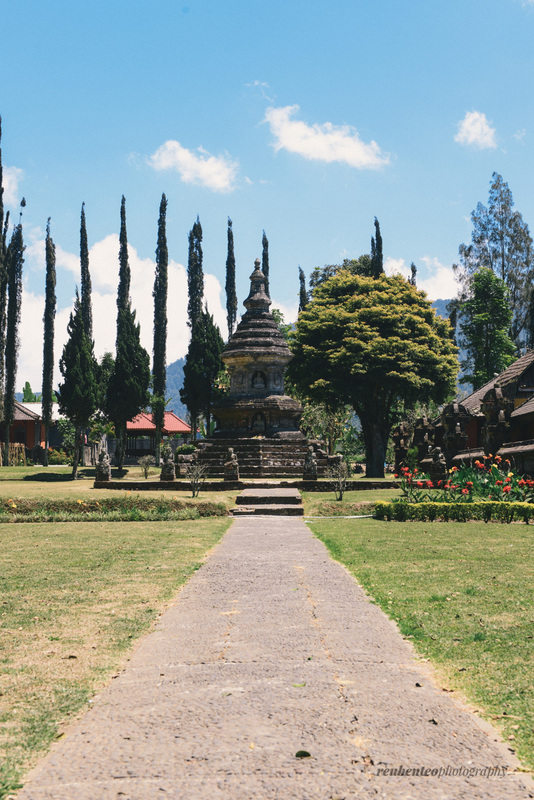 The temple itself sits in well manicured gardens and this attracts almost everyone who visits Bali. The temple grounds have a variety of structures that includes the famous Balinese multi-tiered meru roof style (Pelinggih Meru). These pagoda shrines are named after the Hindu mythological peak of Mount Meru, which is believed to be the home of the Gods. The importance of the God being worshipped is indicated by the number of roof tiers, which is always an odd number with the maximum number of 13. The Shrine of Lingga Petak is the smaller of two with only 3 tiers and is located in the lake itself, making it only accessible by canoe. There is a white stone inside this temple which is believed by the locals to be the lingga (or lingam), a symbol of Lord Vishnu. It was decided that the shrine should be dedicated to the Goddes of Ulun Danu Beratan. 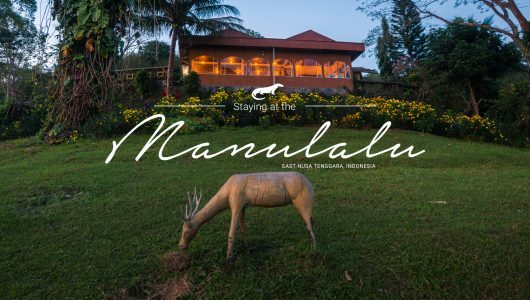 Pesimpangan Puncak Mangu is located to the west of Lingga Petak and is reachable by a wooden bridge. It is the most notable and prominent complex amongst all as it sits on the lake itself with it’s 11 tier Meru roof. 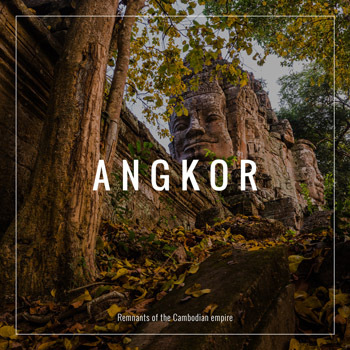 It is situated on land and is therefore built to worship for the God of Fertility and Prosperity. The Shrine of Terate Bang, or also called Pura Penataran Agung. 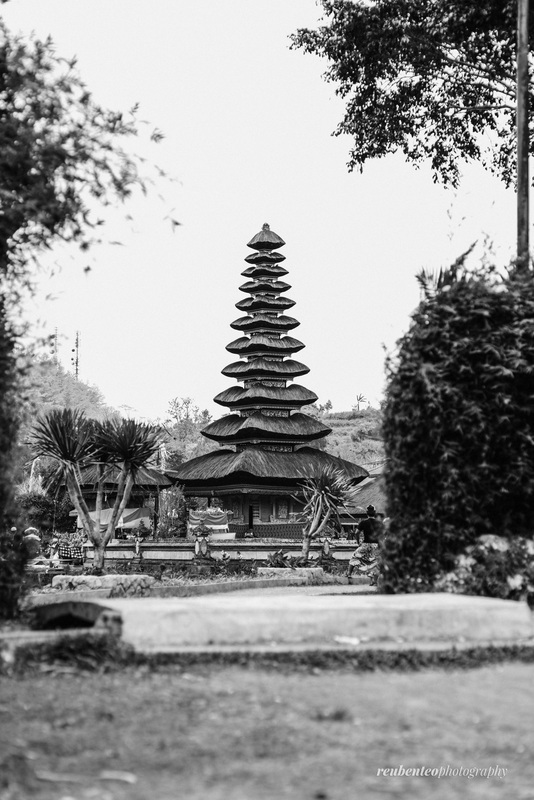 It can be seen upon entering Pura Ulun Danu Bratan which can’t be missed because it looks like a giant pine cone. Local ritual leaders consider that the 7-roofed meru main shrine as the abode of Hindu God Brahma, the creator. Dalem Purwa Temple has 3 pavilions for worshipping the power of Shiva in the form of Bhagawati goddess, the symbol of wealthiness. We went there twice during our honeymoon. It was such a beautiful landmark that I just couldn’t get my eyes off it. While we were there, there was a praying ceremony going on. We saw many locals praying and chanting. After the ceremony, they all walked around the entire temple with offerings on their heads and we also saw a Barong in the crowd. 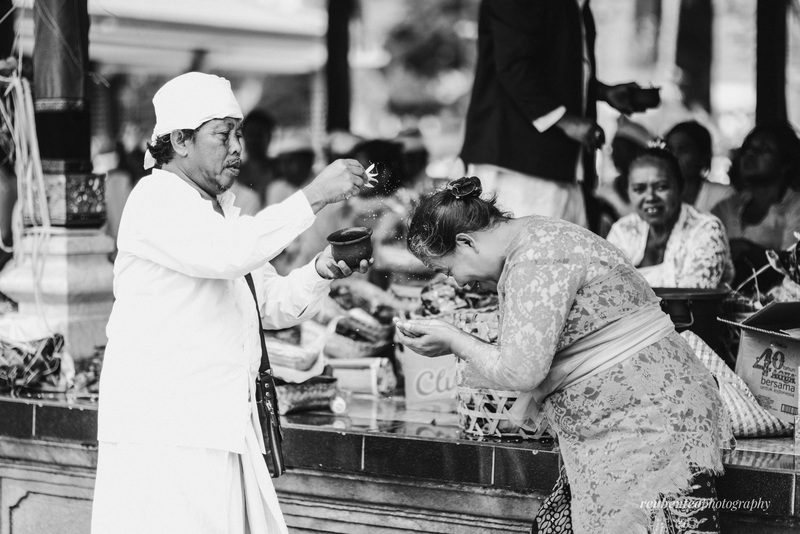 If you don’t want to miss out on any Balinese rituals and ceremonies, it’s good to note that there are 5 kinds of regular ceremonies carried out in the temple annually. The fixed schedule can be read in Balinese calendar since this is based on Balinese dates which can only be known in November for the following year. It’s also a fantastic photography opportunity for everyone too. Getting to Bratan Lake is not a hassle at all. It is easily approachable through roads from all directions of Bali. Bedugul is about 50km north of Denpasar on a main route from South Bali to North Bali. If you are traveling from far South, it’s best to make sure that your driver knows his way around Bedugul. It would be a drag if he gets lost somewhere and you missed out that beautiful photo opportunity and it would be hard for you to travel to the other 2 lakes around the area too. If you love a quiet time when there’s lesser crowds, I would suggest staying in Bedugul area as it is easily accessible through a motorcycle. 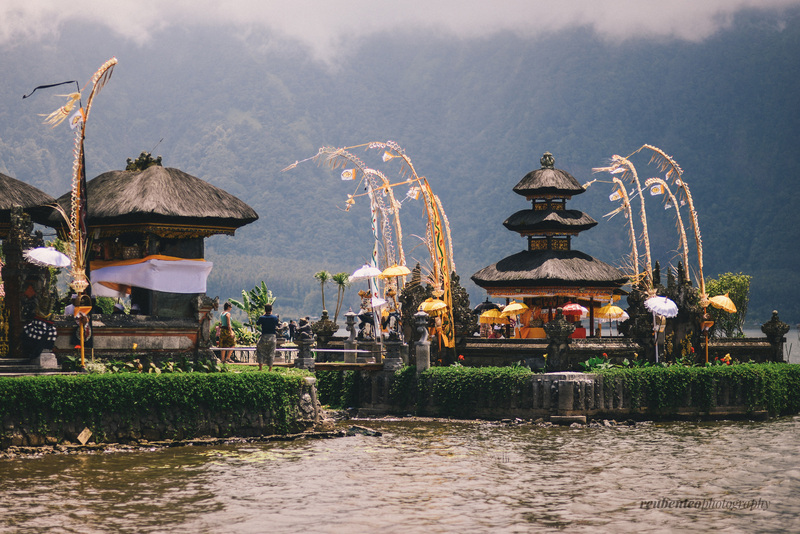 The entrance fee for Pura Ulun Danu Bratan is Rp30,000. 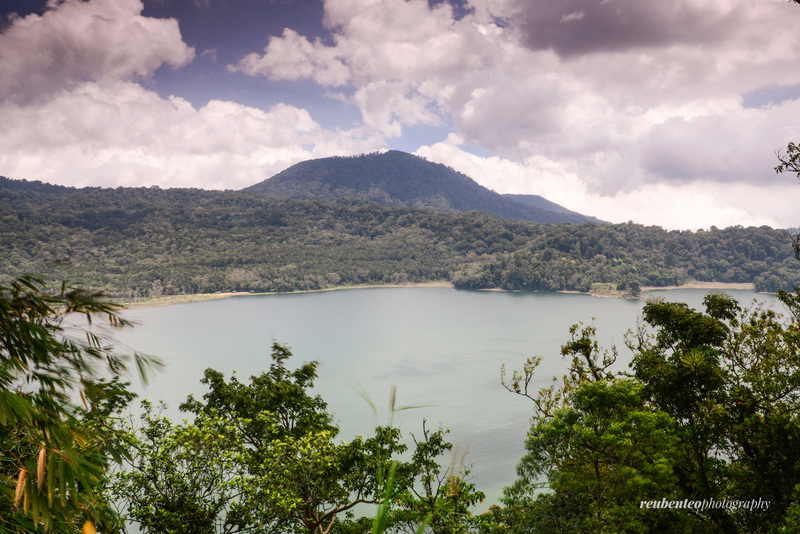 Situated below the northern rim of the Bedugul caldera, it is Bali’s 2nd largest lake (4.5 square km). 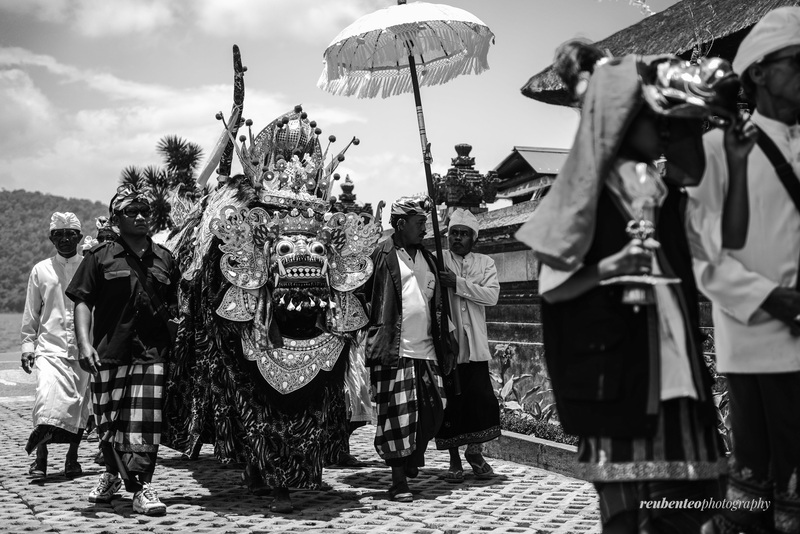 Unlike Batur and Bratan, Danau Buyan is not especially important in the Balinese religion. Therefore it’s not much of a tourist spot, but it sure is one fine looking lake when you look from a distance. 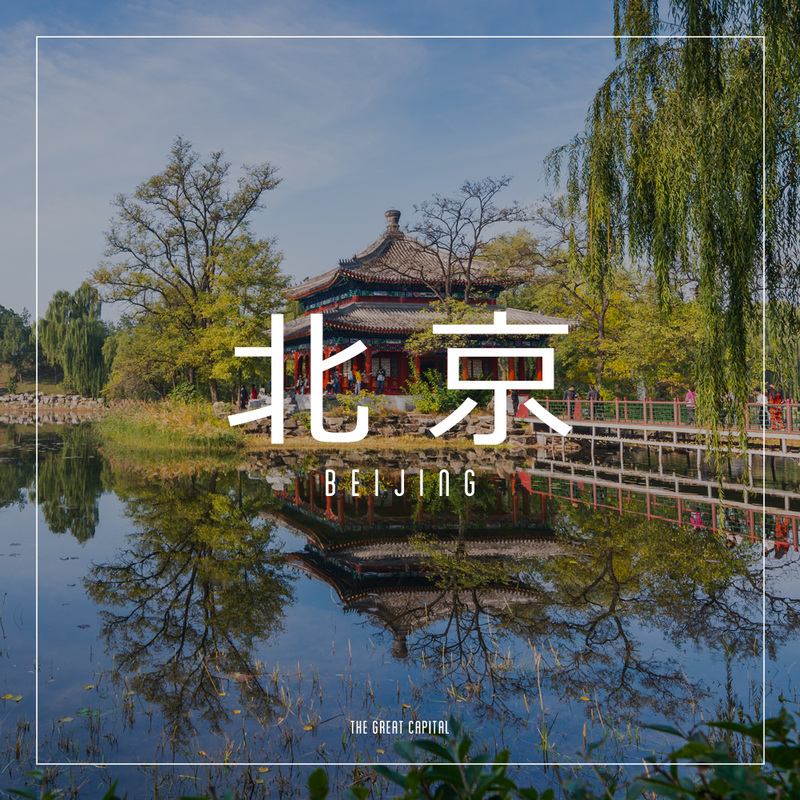 It may not have beautiful temples or symbolic representations, but the lake boasts beauty from it’s glass-like still waters. Following the winding road up the hill, there is a spot where you can ask your driver to pull over and admire the tranquility of the lake and it’s surroundings. You will also find that the coolness of the air while on top of the hill. Also, it’s a great place to have a small picnic, while enjoying the view of the massive lake. Here, you will get to see one of the most beautiful vegetation scenery on the island. 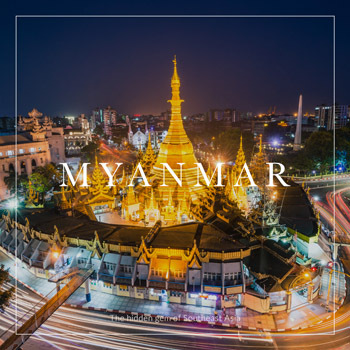 On this quiet scenic asphalt road, we will find green grass on the road sides, trees, plantations and farms on the right side of the road, sporadic mists and yes, the Lake, seen and disappear at below left of the road while you are driving beside lush vegetation and big trees. This lake is surrounded by coffee and clove plantations. Immediately to the northwest of Lake Bratan, Lake Buyan and Lake Tamblingan used to be one body of water, until a landslide separated them at the turn of the 19th century. 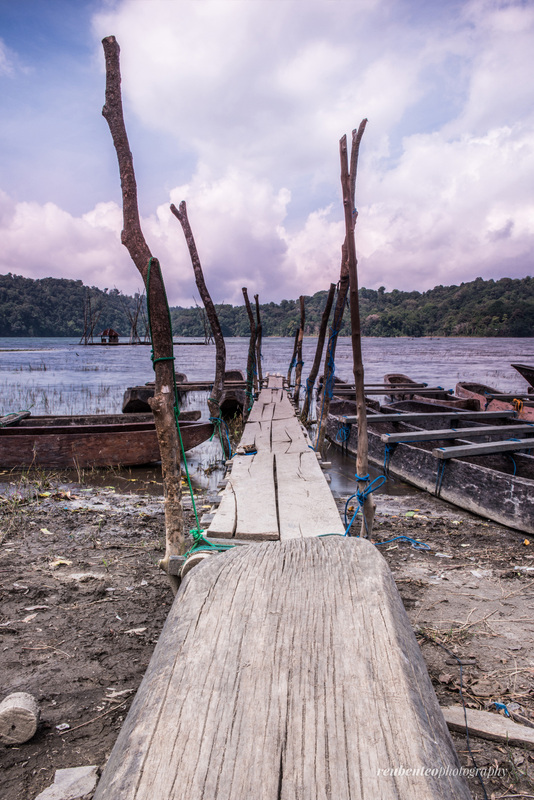 If you travel further down the Buyan Lake, you will enter a somewhat hidden park-like village called Munduk. After a small walk through Munduk Village, there lies the hidden treasure called Tamblingan Lake. Located beside Buyan Lake, it looks like a twin lake from bird’s eye view. It is the smallest of Bali’s northwestern lakes. However, this is where you can see gold in its waters. Although small, this lake has a very interesting story behind and to why it has this mysteriously beautiful scenic view. The story goes like this: Long time ago when the modern Balinese culture was still in it’s formative stages, a vengeful King fell upon the people of the hills and bent them to this yoke. As a last act of spite, the people threw their riches into the cold embrace of the lake’s clear waters. The overflowing water of Lake Tamblingan at Munduk Village, reminds us of the many temples surrounding the sacred lake. One of the temples also submerged in the disaster is the Gubug Temple, located on the west side of the lake. Indeed, this temple is inseparable from the issues of water, either the tangible water or transcendental water. But having this lake to flow will allow thousands of farmers in Tabanan and Buleleng Regency to have their rice fields persistently irrigated and be fertile at all times so that they can have a better harvest. Tamblingan Lake is extremely quiet and peaceful. I can imagine the tranquility that the villagers here enjoy everyday. It is quite a great place to chill out and relax, but it is quite far away considering that it has only a one way road access to it and is situated at the end of the Lake route. The Gubug Temple is rather easy to find because it is located at the edge of the lake near to the village. This temple is indeed strange but unique because it has two different Meru shrines. One of the Meru shrines was built and worshipped by subak members from Tabanan Regency, while another was built and venerated by devotees belonging to Catur Desa. It is unknown to why two Meru shrines were built within the same temple area according to the chief of Munduk Village, but one thing is for sure, it is a beautiful temple. The best part is that it is hidden away from most tourist buses because of it’s off beaten path and limited accessibility. Located at the north of East Bali, this lake is the widest and largest lake on the island of Bali. It’s a crater lake that sits firmly at the feet of Mount Batur and Mount Abang, surrounded by villages, shrines and the volcanoes. It is also a good source of fish to the villagers. The most important thing about this lake is the Pura Ulun Danu Batur. The temple is the 2nd most important temple to the locals after the Mother Temple of Besakih. The temple was rebuilt up on the caldera ridge in 1926 after an eruption of Mount Batur destroyed the old one down in the crater. There are a large number of shrines, but most visitors are drawn to the huge eleven roofed meru in the inner courtyard. 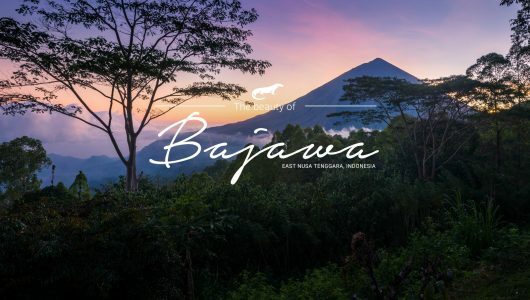 This is dedicated to the goddess of the lake, Ida Batara Dewi Ulan Danau who is regarded as the controlling deity of the whole water and irrigation system of Bali. A virgin priestess is resident at the temple to represent the goddess, and she is served by 24 priests who are chosen as young boys and then keep the role for their lifetime. 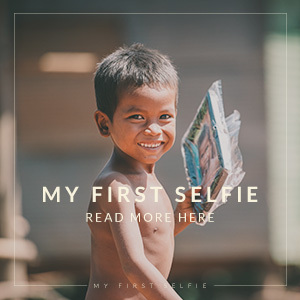 This is a strong example of just how importantly water and irrigation matters are regarded in traditional Balinese culture. Due to it’s enormous size, you are able to get some spectacular views of the lake at a few sites. The one we went to was called Kintamani. 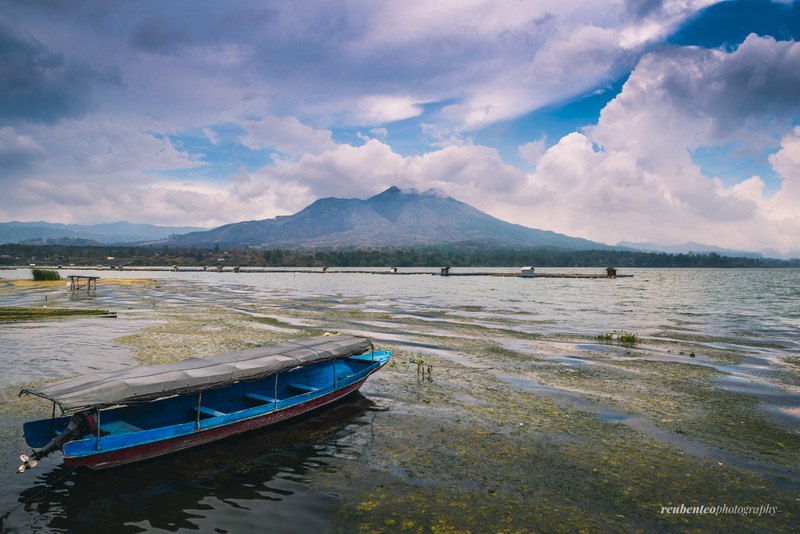 It’s a famous area that offers not only the view of the lake, but also a magnificent view of Mount Batur. Mount Batur itself is actually just a small volcano, but it is located in the heart of a gigantic crater. Adjacent to the volcano is the large crescent-shaped Batur Lake, all surrounded by the high walls of the crater rim. 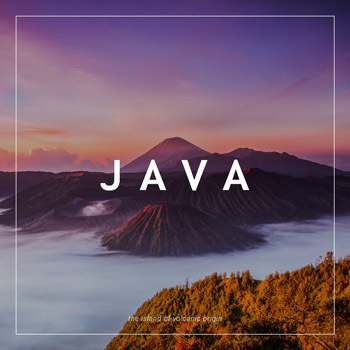 Because Kintamani is located high in the mountains and the temperature is usually about 15 degrees cooler than down on the coast, and even more so at night. That, coupled with the often cloudy and drizzly weather, makes a sweater or jacket advisable in the day time and vital after sunset. It’s one of the best spots to enjoy a scenic view while enjoying some lunch as well. If you have the time, you can also travel down to Penelokan village where it offers a spectacular view of this crater lake. 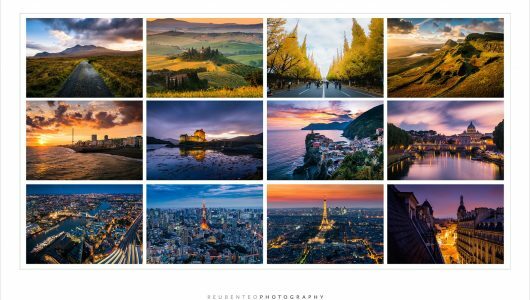 Photo opportunities abound, but try to be there as early in the morning as you can manage before the cloud inevitably starts to gather. 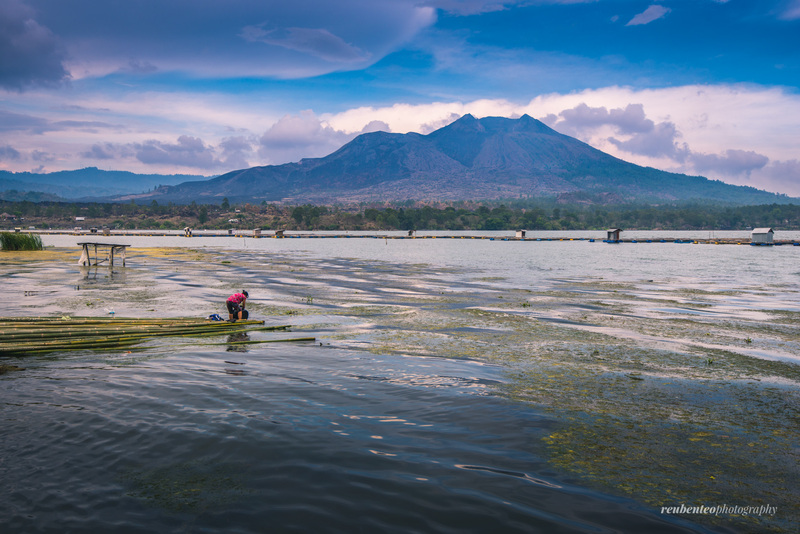 After visiting these amazing lakes, it’s astonishing to find out that the lakes in Bali are mainly calderas. What amazes me most is the fact that we are surrounded by what used to be huge volcanoes around. It makes you wonder, was Bali also formed from a massive volcano eruption as well too? Anyways, whatever it is, nature sure has her funny way of creating absolutely gorgeous landscapes and every single one of them is as unique as the other.